J .S. 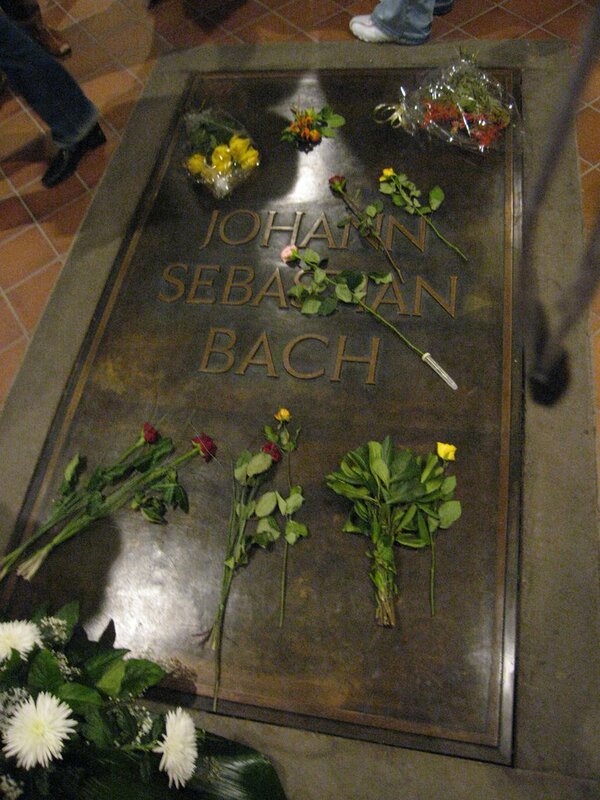 Bach is my favorite composer. I discovered the breadth and depth of his music with the help of Prof. Robert Greenberg through his Teaching Company audio lectures. Bach’s music is intensely spiritual and moving. His St. Matthew Passion can bring you to tears. The Goldberg Variations sound very modern, almost jazz-like. And the Brandenberg Concertos are among the most familiar classical pieces in existence, but they always sound fresh. And this is just a tiny piece of his life’s work. 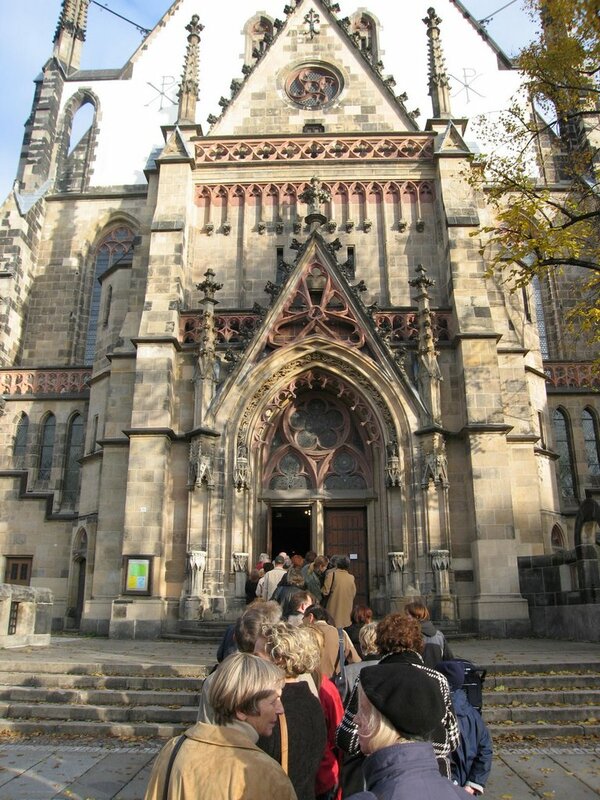 During the time he was the capellmeister at St. Thomas Church in Leipzig, he had to produce a new classical piece every week for that Sunday’s services over the course of three years, a stunning accomplishment. I recently heard advertised a CD collection of all his work. It consists of 140 disks. So, one benefit of the misguided advice found in the guidebook referenced in the previous post is that I frantically searched for something outside of Berlin to visit before I left the U.S. 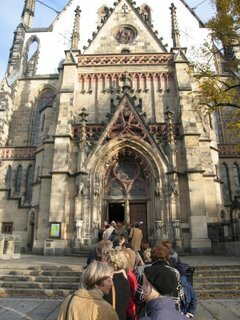 I discovered that Leipzig is only an hour train ride from Berlin. Moreover, St. Thomas Church continues to hold services and there was one at 3 pm on the Saturday of my arrival. So, I landed in Berlin, dropped my luggage at the hotel and immediately set off for the train station to travel to Leipzig. In Leipzig, my taxi driver spoke no English, so I took out my biography of Bach and pointed to the picture on the cover. He quickly delivered me to St. Thomas Church where there was a small line for the service. I paid two dollars for a program and found a seat in the middle of the church, which was filling up fast. 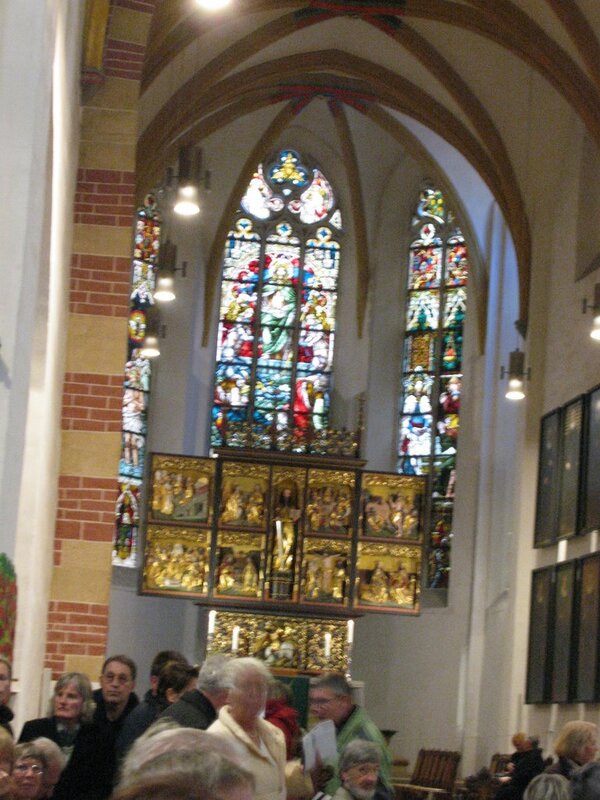 What followed was a full Lutheran service with a short reading, a moderate length homily of which I understood not a word and lots and lots of music. Much of which was composed right on that very site. I have pictures of the visit but the blog is not letting me post them. Hope to be able to in the future.